How do you know if your shoes need shoes? You know, sometimes you need socks to cover your bare feet, and shoes to cover your socks. So what if your shoes need to be covered? That’s where spats come in. “Spats?” Yes, spats! They were commonly worn a hundred years ago to keep water and mud from getting into your shoes and from staining the bottom of your pants or trousers. But they’re great for costumes, too! 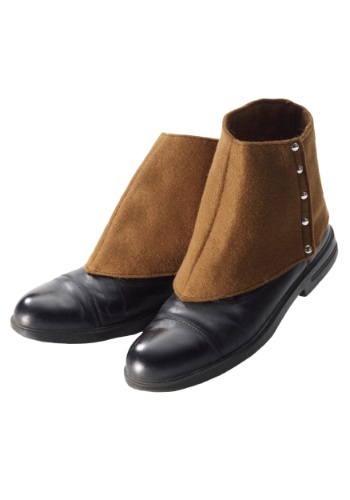 These beige spats are made of polyester faux leather. The shiny studs are only decorative, because these spats fasten with a Velcro strip underneath the studs. They also include an elastic band that slips underneath the foot in order to keep the spats in place. 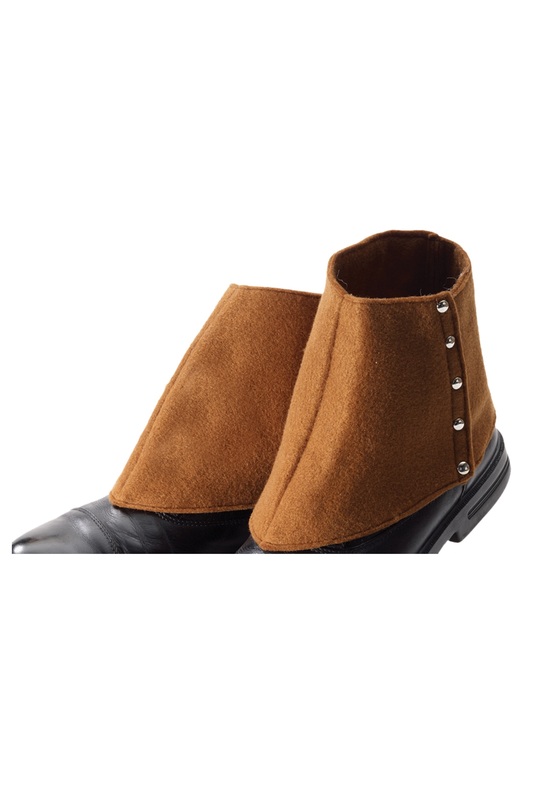 These beige spats fit most shoe sizes and types. They’re great with gangster and steampunk costumes, really anything with a retro or old-timey look. Or really any costume that could use some additional shoe coverage.